My research is focused on understanding marine biogeochemical cycling and the ocean’s role in global climate through the carbon cycle. 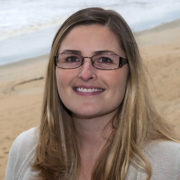 Key priorities for the Marine Biogeochemistry Group include (1) developing accurate, scalable methods to quantify the biological carbon pump from sensors on autonomous platforms and satellites, (2) characterizing the ocean carbon sink sensitivity to natural and anthropogenic carbon cycle interactions, with an emphasis on western boundary current regions, (3) creating new tools for measuring long-term changes in ocean carbon chemistry, and (4) exploring the impacts of ocean acidification on coastal and open-ocean ecosystems. Our projects range from regional to global in scale and we work to incorporate a variety of observational tools (e.g., remote and in situ sensing and synthesis products) and model output to understand ocean carbon cycle processes. The Marine Biogeochemistry Group investigates how carbon is cycled within the upper ocean by marine organisms, how this influences the exchange of carbon dioxide between the atmosphere and ocean, and how rising levels of carbon dioxide in the atmosphere may impact the marine carbon cycle, now and in the future. Graduate Students & Postdocs: If you are interested in pursuing graduate or postdoctoral research with Dr. Fassbender, please contact her directly by email. For more information about graduate programs at University of California Santa Cruz (UCSC), where Dr. Fassbender accepts students, please visit the UCSC website.